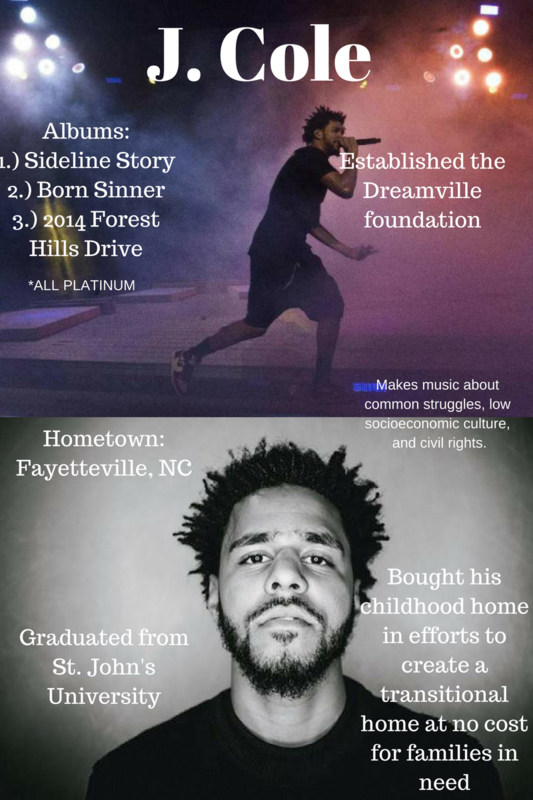 This poster commemorating artist J Cole, was made with the Canva app. The Canva app is free and easy to use, though it does offer in-app purchases. The Canva app is the perfect tool to create memorable images and can be a great tool for myself especially as I enter the classroom. You are able to create backgrounds from a large database on the app or you are also able to simply add your own images. I would recommend getting used to being functional on an iPad before you use this app however as it is not as user friendly as it could be. There are some tricks that you must be able to use when entering your text. Once the functionality is figured out, the possibilities are endless! Teachers can use this to create digital or even full sized real life posters. These posters can be used in any class at any subject level. This app is one that can be used with or without a partner or group and can be especially appealing to the kinesthetic learners in a classroom setting. These projects also can be viewable in many different digital forms which makes grading easy! What makes this app so engaging for students is a.) because it is done on technology and b.) is something that they can use to really personalize their work and make it their own. Overall, I would say that this app is an awesome resource of educational technology as long as you know how to use it!